Special services October 12-14 as Sam Ackah, Pastor of the Geneva Pentecostals and Youth President of the German-speaking nations, ministers at AGC Upper Sandusky Friday, October 12th at 7:00PM and Sunday October 14 at 10:30AM. 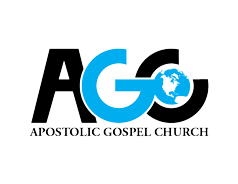 Friday, October 12 – 7:00PM – Youth worship service will be held at AGC 221 N. 5th Street Upper Sandusky, Ohio. Following the service, please join us for the after event for a time of fun at the Upper Sandusky High School. Sunday, October 14 9:30AM – There will be adult learning (bible study) and Sunday school at 9:30 followed by a powerful worship service and Holy Ghost outpouring at 10:30. You will not want to miss the anointed preaching and prayer that will take place. Even if you’re unable to attend please consider sharing this so that someone else can be blessed.